This is a complete replacement Compaq iPAQ 16MB mother board. If your iPAQ mother board has failed this is the correct drop in replacement part. 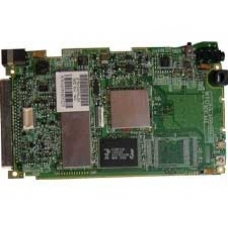 Suitable for the whole Compaq iPAQ 3100 range including H3100, H3130, H3135 and H3150. * 206MHz Intel StrongARM 32-bit RISC Processor. * 16MB RAM, 16MB Flash ROM. * Operating System Microsoft Windows CE. If your motherboard has failed or has broken in any way, our experienced technicians will replace the 16MB main board wi..